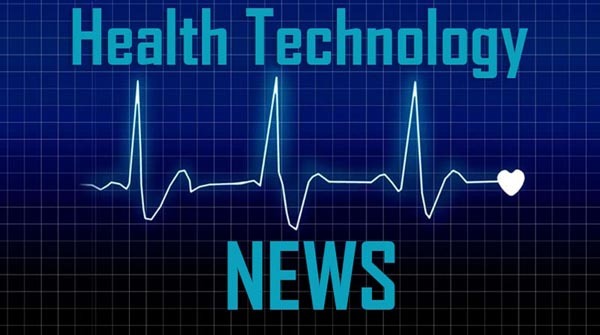 COLOGNE, GERMANY / ACCESSWIRE / April 16, 2019 / CEVEC Pharmaceuticals GmbH (CEVEC), the expert in the production of tailor-made recombinant glycoproteins and gene therapy vectors, today announced the successful closing of a Series D financing round with new and existing investors. The funding will be allocated to the expansion and commercialization of CEVEC’s CAP(R)GT-based stable adeno-associated viral (AAV) vector production platform and to the broadening of the Company’s technology portfolio. Viral vectors are crucial in gene therapy for delivering the gene of interest to the target cells. Many of the gene therapies in development require systemic administration and therefore high vector doses. This makes the manufacturing of sufficient amounts of vectors at high quality increasingly challenging and limits treatment options for larger indications, such as Alzheimer’s or Parkinson’s disease. CEVEC is the first and only company today to offer a solution to make the production of AAV vectors as easy as the production of monoclonal antibodies. The platform technology is now being upscaled to industrial scale and commercialized with leading companies in the gene therapy sector. As a solution for scalable AAV production, CEVEC has taken the next step, creating a stable AAV production system. Traditional methods for vector production require multiple, transient transfections of cell lines, a process that is difficult to reproduce under industrial conditions and can hardly be scaled-up. CEVEC’s technology is based on stable cells that produce viral vectors upon chemical induction. Thus, industrial-scale manufacturing is feasible following simple standard processes, and is as easy, robust and cost-efficient as the conventional production of recombinant proteins and monoclonal antibodies. CEVEC will use the funds raised for the industrial scale-up and commercialization of the platform. In addition, the Company plans to further expand its portfolio of cell lines for stable vector production with additional viral vector types being used in gene therapy applications including lentivirus, adenovirus, and others. CAP(R)GT is a fully scalable manufacturing platform for viral vector production. CEVEC has successfully developed CAP(R)GT suspension cell-derived viral packaging cell lines, including a stable, helper virus-free AAV production platform, which enables better scale-up and competitive production costs when compared to adherent cell culture systems. CAP(R)GT suspension cell lines grow to high cell densities and show excellent productivity for a broad range of viruses. Gene therapy vectors such as lentiviral, adenoviral, and adeno-associated viral (AAV) vectors can be produced at industrial scale. CAP(R)Go enables the production of proteins “beyond antibodies”. Complex, glycosylated proteins represent a significant portion of the human proteome and are notoriously difficult to express in conventional cell lines such as CHO. The CAP(R)Go expression platform comprises a portfolio of glyco-optimized human suspension cell lines for the highly efficient production of a broad range of difficult to express recombinant proteins with authentic human post-translational modifications or on demand tailor-made glycosylation patterns.